The cryptocurrency market is crashing and there are no signs of improvement yet. Apart from HODL, you have two options: experiment with shitcoins and hope for the pump or make your coins work for you using masternodes. In any case you need an exchange. Today we will talk about Cryptopia. Cryptopia is a project created in New Zealand, which you can clearly notice if you visit its website. There is an NZ shortcut everywhere and the domain is co.nz. Cryptopia is known for offering hundreds of trading pairs. 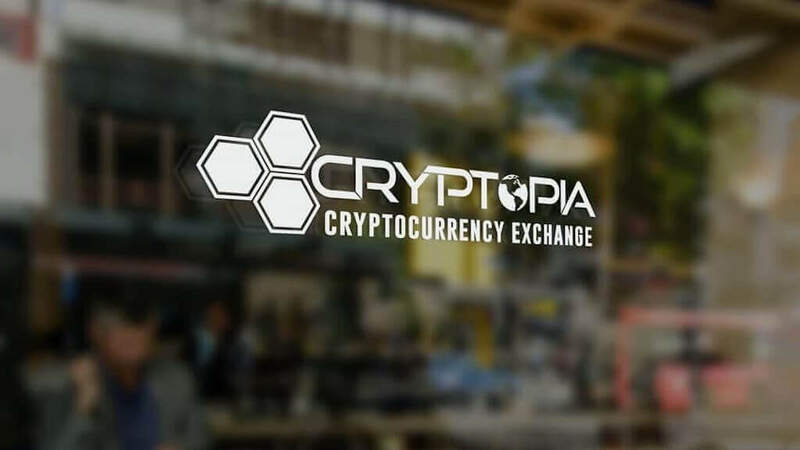 Moreover, the exchange works with rare coins, so those who like to gamble on little-known projects use Cryptopia quite often. At the same time, the exchange is quite small. 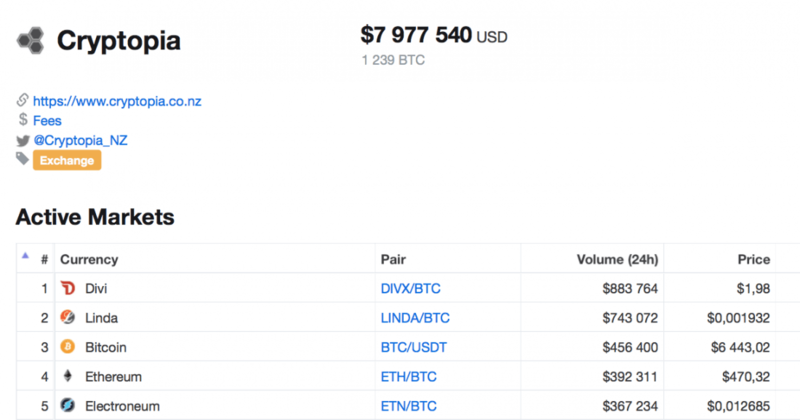 According to CoinMarketCap, in the last 24 hours Cryptopia accounted for a little less than $8 million. 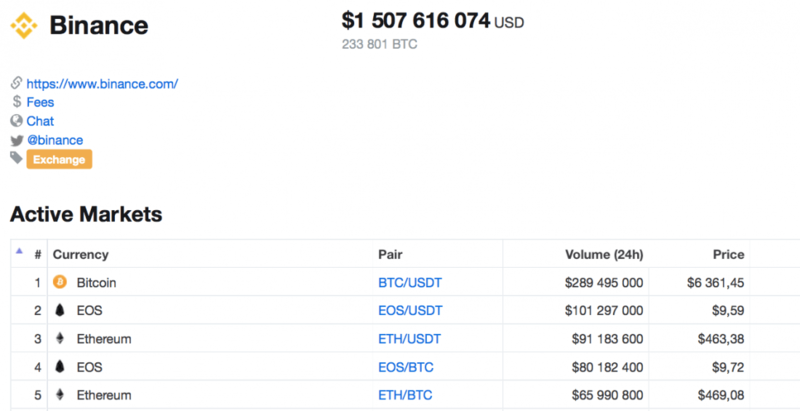 In contrast, the giant Binance accounts for $1.5 billion. The Register button is in the upper right-hand corner. 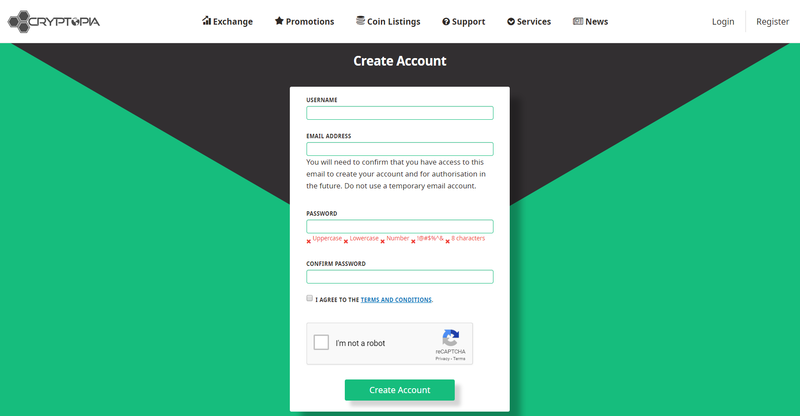 Everything is straightforward so far: type in your username, email address and password. To complete your registration, activate your account by clicking on the link sent to you via email. Then activate two-factor authentication using Google Authenticator and maximize your account security. Now hackers can’t get into your wallet without your smartphone. This is what a user account looks like. There is a daily limit of 5,000 NZD, or 3,500 US Dollars. To increase your limit, you’ll need to confirm your identity with your ID. The exchange doesn’t work with fiat money, so you need cryptocurrency to fund your account. There are billion solutions to this. A safe and reliable way to buy cryptocurrency would be through a Telegram bot. You can buy Bitcoin, Ethereum, Litecoin, Dash, Bitcoin Cash, etc. Start by choosing deposit currency. 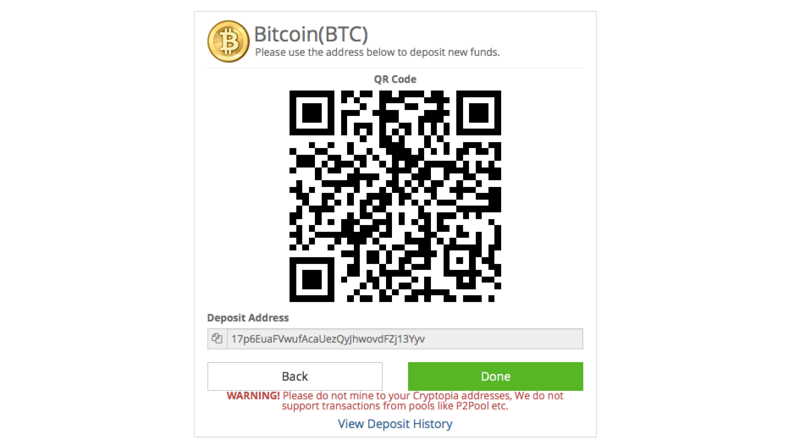 In just a second, you will receive a QR-code for transfer and a deposit address. Below, developers warn against mining to Cryptopia addresses, but only in reference to old pools like P2Pool which are no longer around. If you go to our 2Miners pool, you can forget about this issue. Transfer the cryptocurrency of your choice and wait for your transaction to complete. Check the currency in the Balances section. Now we can try buying some coins. We will try Bitcoin Green (BITG). 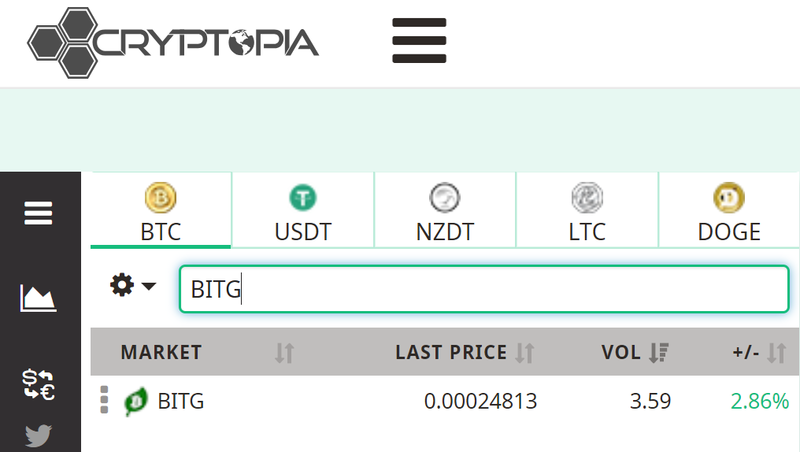 Let’s go back to the main page and enter BITG in the search field. Since we are going to buy it with bitcoins, we don’t have to switch tabs. 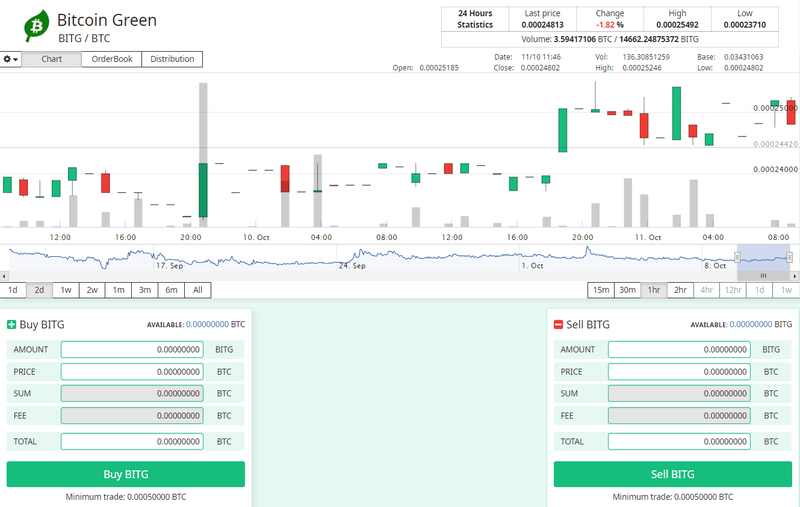 The exchange shows current BITG/BTC trading pairs, as well as charts, opening price, variance in price, etc. The buy and sell interfaces are in the lower left and right hand corners of the screen, respectively. 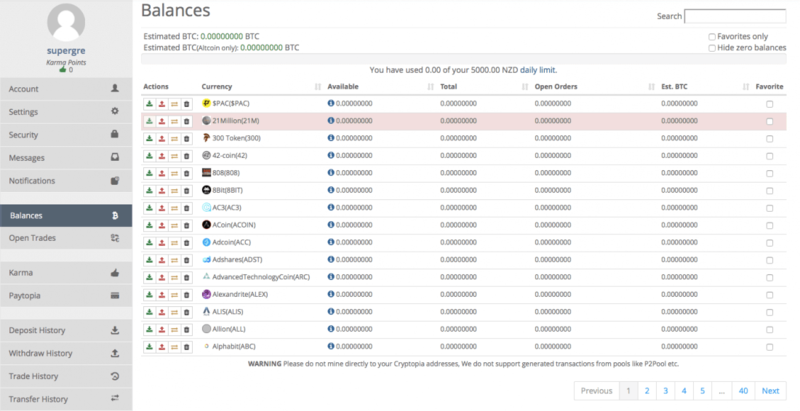 The minimum trade amount is 0.0005 BTC, so let’s add some more coins. 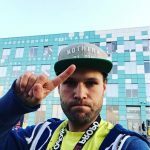 Let’s choose a seller from the sell order list. We chose the first one because he offers the best price. After we click on the trader, the exchange will automatically fill a buy order. 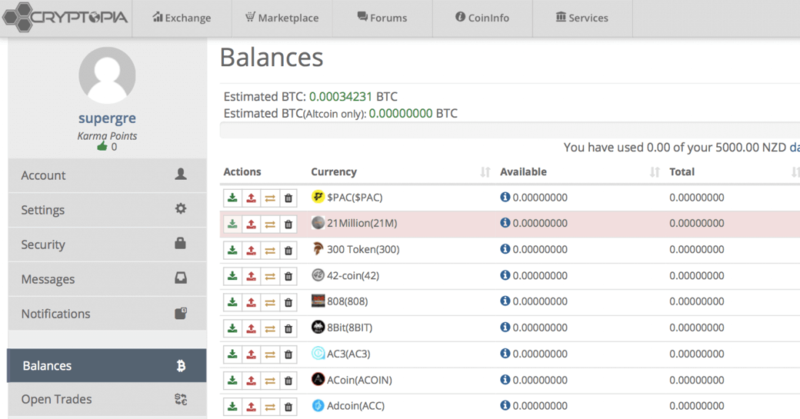 You can also click on the remaining balance of the wallet in the upper right hand corner. You get an instant notification. The transaction was completed successfully – now you have some BITG and can buy other coins the same way. You can decide for yourself what you want to do with your new cryptocurrency. You can HODL or send your BITG to a masternode on 2Masternodes. The current ROI is 125%; assuming prices in a vacuum, your $1,000 investment would yield you an additional $1125 a year. An increase in the exchange rate would boost your ROI even further. You can find many useful tips in the 2Masternodes Telegram chat.